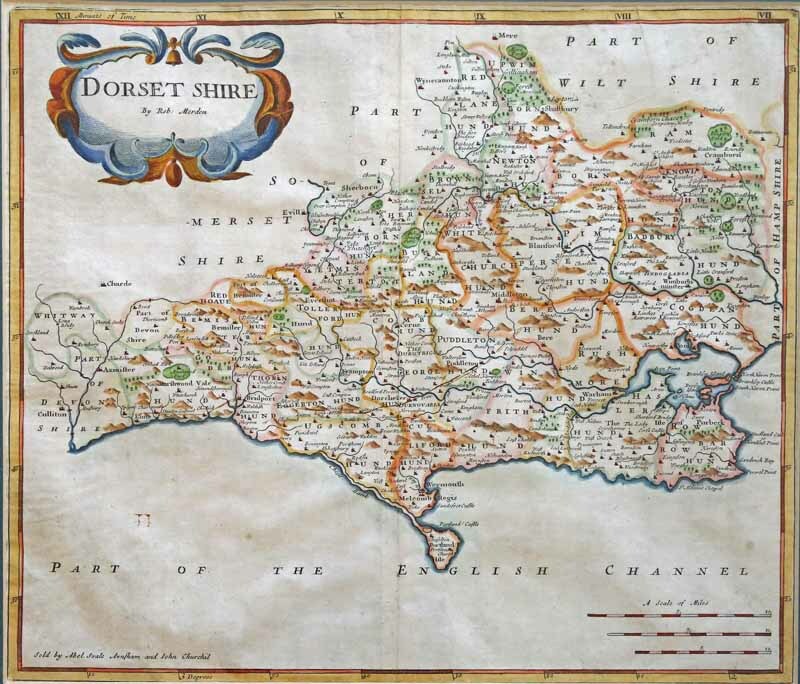 An attractive map with clear engraving and pleasing colouring, measuring 42 x 36 cms (16.5 x 14 ins), including the boundaries of the hundreds in colour. There are no roads on the map. The yellow border carries markings of Longitude in “Minuits of Time” at the top and “Degrees” at the bottom, measured (for the first time by any map-maker) from the Meridian of St Paul’s Cathedral.